Connect your favorite social media platforms and Social Champ will automatically share posts on your social profiles with just a click. Imagine scheduling months of Facebook, Twitter, and Instagram posts right from an Excel doc or Google Sheet, with just a single click. Type in a topic, and we’ll give you suggestions for articles, blogs, videos and content you can share. 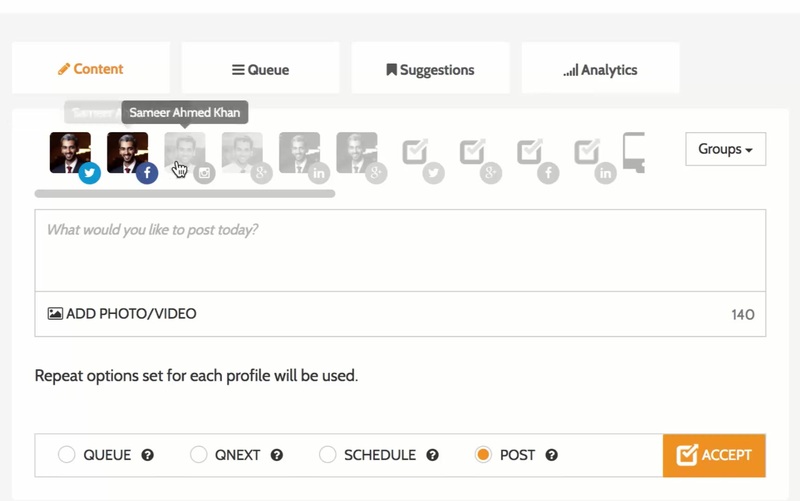 Add all your social media profiles and then post or schedule content on multiple social media automated profiles in a single click just from Social Champ. We have some magical spells to repurpose your content effectively. Repeat your content to be in the lead of social media automation. Export about 1000+ posts in CSV file too and schedule them in just a click! Posts can be scheduled every week, month, or even a year!